Happy July 4th, everyone! I don’t know about you, but I’m thrilled to have a 3 day weekend! I’m also super thrilled with the weather! It’s July. In the south. And there’s actually a chill in the air. Ahhhhh, bliss! That’s a far cry from 2 years ago when we were melting with over 100 degree temps! No matter what the weather is, though, more than anything I’m just so happy to live in a free country where we can celebrate the hard work and dedication our forefathers put into securing our freedom. 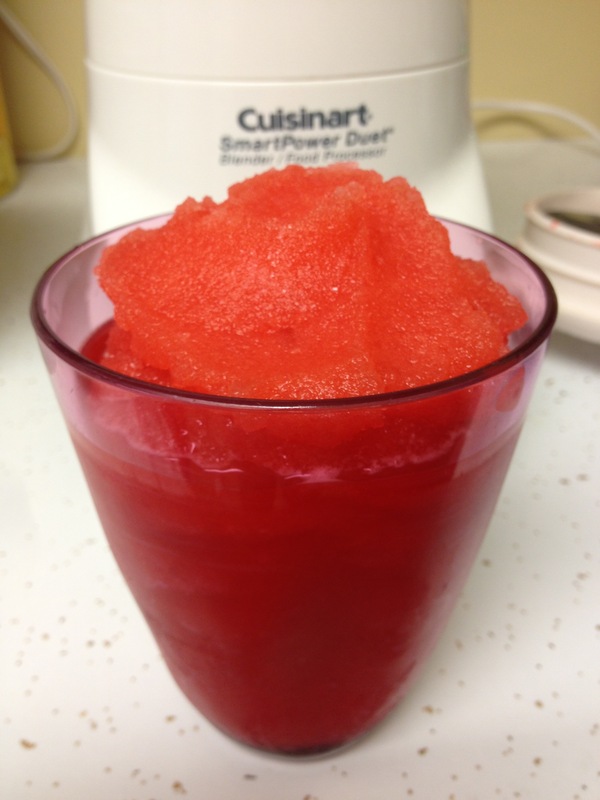 Now getting back to that 100+ degree Independence Day 2 years ago, I made up a great slush recipe for that day and I wanted to share it with you. But first, a little back story. Here in Memphis, we have a Spring Market every year. Do you have anything like that where you live? It’s where vendors can buy booth space to sell merchandise. It’s mostly clothes, jewelry, monogrammed gifts, dip mixes and the like. Patrons pay admission to get in and shop. Yep! We pay money to spend money. Capitalism at its finest! That year, I had bought this drink mix called Wine-a-Rita. 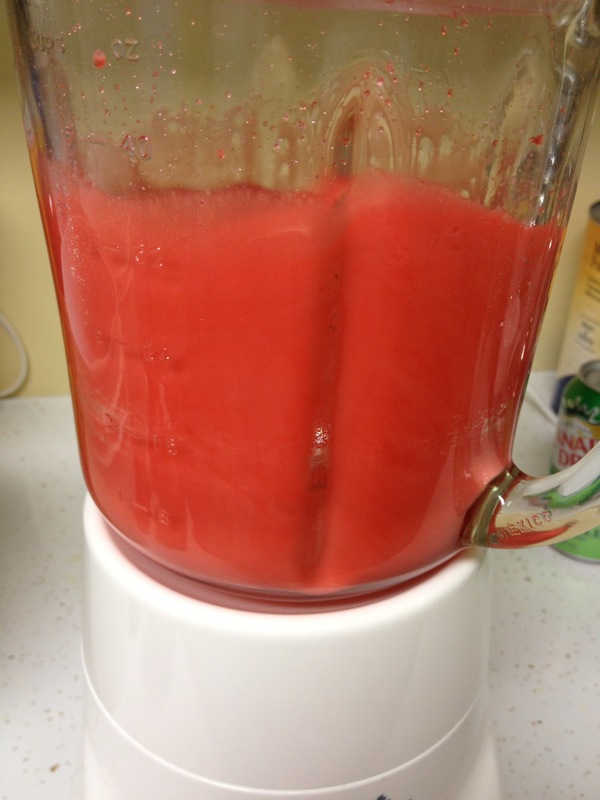 You put the powder in a blender, mix it with wine, vodka or tequila, fill the blender with ice and you have a quick adult frozen concoction. Instructions on the side of the box also said it could be mixed with Sprite or ginger ale for a non-alcoholic version. I had bought some of it to take to the beach that year. When I made it up for the first time, I realized it was really very similar to powdered drink mix like Kool Aid, and the wheels in my head got to turning. 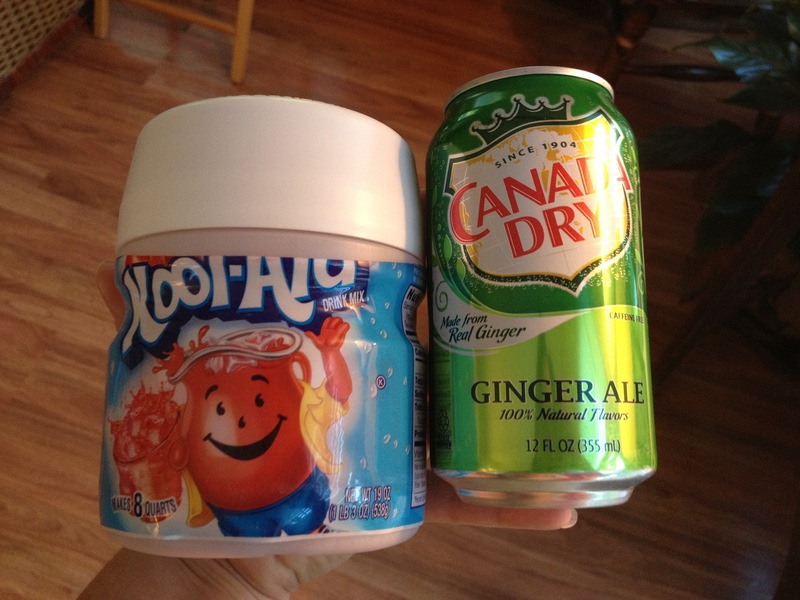 This plus ice is all you need for a quick, frozen slushie drink. 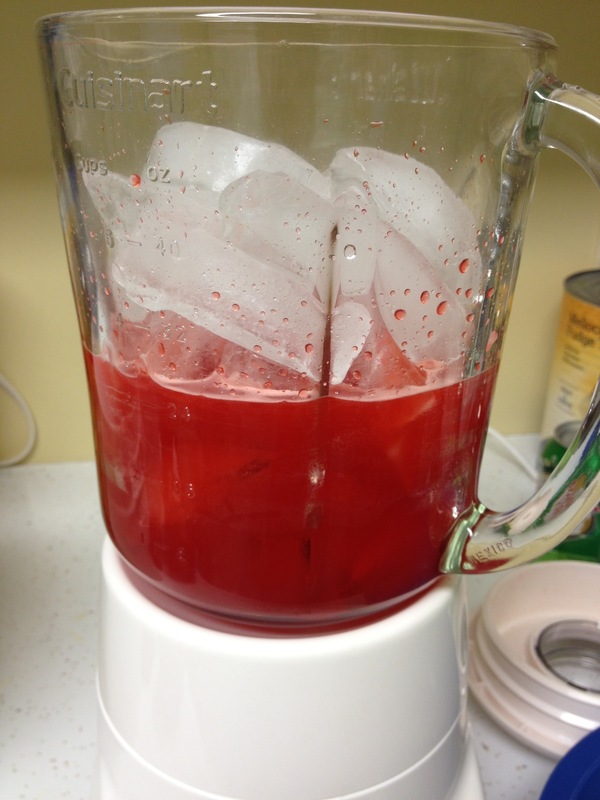 Place the drink mix and soda in the blender and blend until drink mix is dissolved. Add ice, at least double in quantity to amount of liquid in blender. 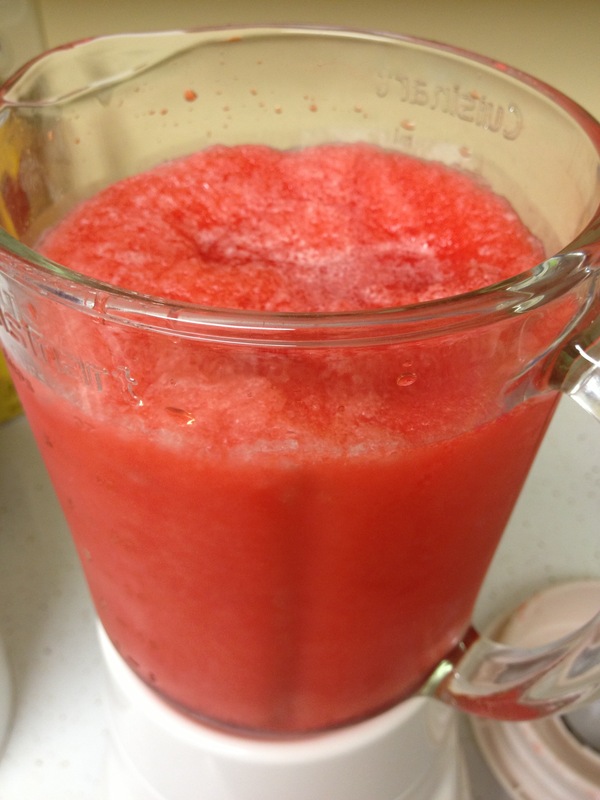 Blend until the ice is completely broken up and drink is slushy. Add more ice according to your desired thickness. Just a few moments later you have this. Yes, that’s it! I like mine to be pretty thick and frozen so I usually end up filling the blender almost all the way with ice. However, I add it in stages to help it incorporate better. I will often use sugar-free soda to reduce the amount of sugar in the slush. You could probably even try it with sugar-free drink mixes to keep it from having any sugar. I’ve never tested it that way, so I’m not sure what the quantity of drink mix would be for that, though. If you give this a try, let me know what you think about it in the comments below. I hope everyone has a happy and safe 4th of July! There is still time to enter my giveaway for a headband from RUNway Gear. Click here for deets on how to enter.